Growing up, I really despised my curls more than anything. They were too much work, too frizzy and made me stand out way too much whenever I had to be the new kid in school...again. It took chemically relaxing it, chopping it off, finding the best hairstylist in the world and becoming one with my curls that I grew to love and adore my mane. Now I have a pretty regular hair cleansing and conditioning schedule that I've been using for years that I really made up on the fly. I tweak it here and there to account for trying new products, but these are the products that I've found over the years that really work to give my curls the right amount of frizz-free hold without weighing them down and a lustrous natural shine. Here's my process with all my favorite products and why I love them! I start every week off the same by shampooing with either the Ouai Curl or Repair Shampoo. I love the Ouai products because they not only smell amazing, but the Repair shampoo contains tamarind seed extract, an ultra-hydrating component that will leave your hair feeling lighter and softer after every use. I only shampoo twice a week so I tend to alternate between these two. Finding the right conditioner is so so crucial and I actually have a few products that I love and highly recommend from a variety of price points because i know all about #bitchesonabudget! 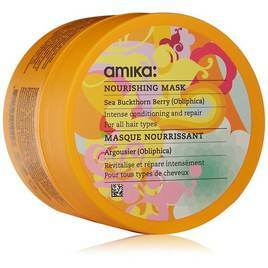 If I'm recommending one then it definitely has to be the Amika Nourishing Mask -- my favorite thing about this mask is that is doubles as a weekly mask and an every day conditioner so you can pick your usage for what you need. I use this product at least three times a week. When I don't use the Amika mask, I love using the Natura Brasil Murumuru Reconstructive Conditioner for Curly Hair - this is great when you're on the go and need a bit of moisture before styling. Only in the conditioning stage bring a brush or comb to my hair to detangle - this is the best time to capitalize on it being malleable and soft! When I'm ready to get out of the shower, I squeeze the excess water out of my hair, add 4-5 (I have A LOT of hair) drops of the Ouai Hair Oil. Now depending on how much time I've got, I either will completely let it air dry or I might add a bit of Cantu Coconut Curling Cream (a quarter size dallop), wrap it into a top knot on my head and top it off by adding a Parachute Waffle Towel, turban style. I can't rave more about the Ouai Hair Oil being more than just an insta fad. - it smells amazing, absorbs quickly without leaving your hair feeling greasy and adds serious shine. Once my hair is decently dry aka not sopping wet, I tip my head upside down (yes, you read that correctly) and add the Kevin Murphy Killer Curls Cream to all the curls using both hands and scrunching them upwards. I've found this is the most effective way of getting the product onto all the strands and really giving the curls volume. If my hair is feeling a bit frizzy, then add a few drops of the Ouai Curl Jelly. Summers in NYC can be pretty brutal in terms of humidity so I always keep a bottle of Oribe Impermeable Anti-Humidity Spray on hand at all times. It's hands down the best humidity spray I've come across and it's super versatile - It works incredibly whenever I straighten my hair as well. I can definitely say it's worth the $22.